Plans to introduce a points-based system for those who fail to submit their tax returns on time have been outlined by the UK tax authority. At present, self-assessment submissions up to three months late incur a fine of at least £100. Under the new plans, points would be incurred for filing late instead. 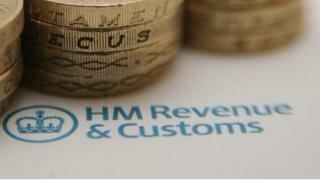 HM Revenue and Customs (HMRC) said the government would legislate for a new system that would see a fine handed to anyone picking up too many points. Parliament would need to give approval next year, following consultation, and the system would be phased in for different taxes at different times. This will begin with VAT in the 2019 tax year, before income tax is added to the system later. About 10 million people are in the self-assessment system for income tax. The deadline for online filing is 31 January. Those submitting forms on paper needed to do so by 31 October. In the last tax year, 840,000 people missed the January deadline. At present, anyone in the system who fails to make a submission receives a penalty that continues to rise steadily as time goes on without any contact. They can only escape the fine if they appeal with a valid reason, such as illness. Under the planned changes, they would instead receive points and have to pay fines after a certain threshold was reached. Points would also be wiped off the record after a certain period of time.